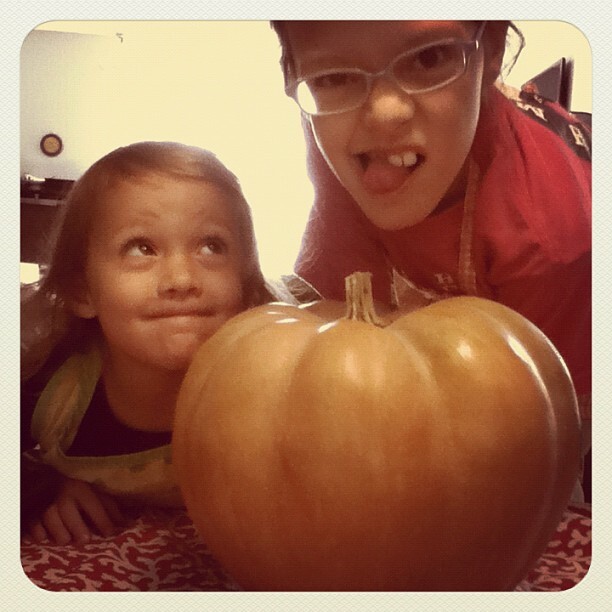 the girls with the pumpkin we used for the bread & more. There are about 1.7b’zillion things I want to share here, but I’m going to focus on rounding out the ‘conclusion’ of the last post–especially since I’ve had it up for so long as the latest entry. First, thanks to all the thoughtful responses. It’s comforting to have friends around me who read and share. Talking/writing it out is a tremendous help when I can count on people with understanding to offer advice! Naomi didn’t help me make the cake that day. She asked again and I just asked her if she knew why I didn’t think I could let her; she said she did. That was it. I turned away trying not to cry and she moved on to playing something else. There was no hesitation, she had no doubt about how to make this experience successful. And she did too. 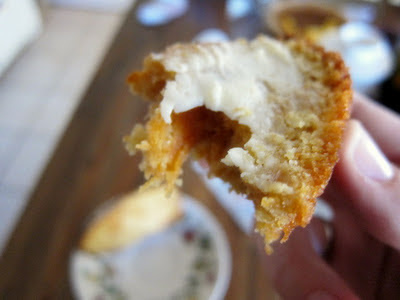 We had a really good time together and whipped up the most delicious pumpkin bread I think I’ve ever had. Perhaps there was a certain sweetness that only I could taste. But, it really gave me the closure I think we both needed to the ‘incident’. Divide batter between prepared pans. Bake until a toothpick inserted in center of loaves comes out clean, about 50 minutes. Let cool 10 minutes; invert pans and transfer loaves to a wire rack to cool completely.